Vancouver, The Tsleil-Waututh Nation (TWN) is committed to stopping the Kinder Morgan pipeline project and is using innovative means to spread the word to British Columbian voters on how to use the BC election to halt this controversial project. “We will use every opportunity we have to defend the coast from this pipeline and tanker project that is so dangerous for all living things” said Charlene Aleck, elected Councillor and spokesperson from the TWN Sacred Trust Initiative. TWN’s Sacred Trust team has organized an innovative campaign ranging from Snapchat “geofilters” and Facebook ads to good old fashioned posters and billboards that highlight key concerns about the project around the province. Today the TWN Sacred Trust team unveiled a first of its kind new advertisement that combines the old and the new. Now passers-by on Expo Blvd. 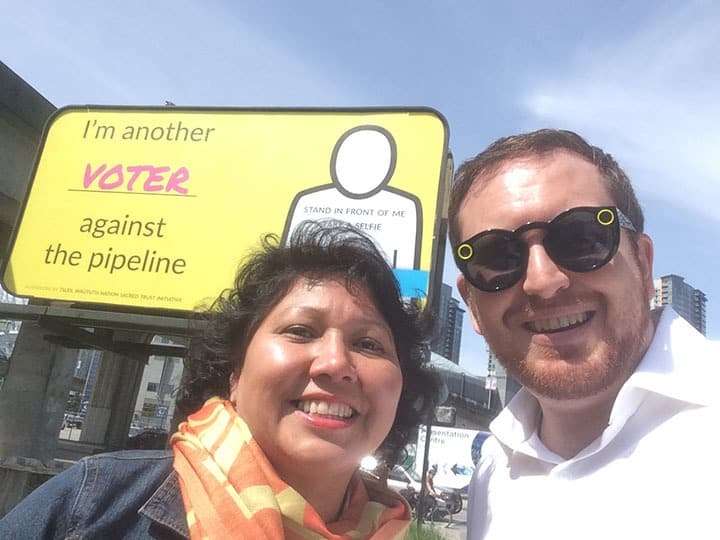 approaching Carrall Street will see a big yellow sign inviting them to take a picture of themselves standing next to a message on the billboard proclaiming: “I’m Another Voter Against the Pipeline”. This is the world’s first “selfie billboard”. There are also selfie oriented posters based on the same theme around the province as well as a bus shelter version of the ad in North Burnaby at Hastings and Kensington. 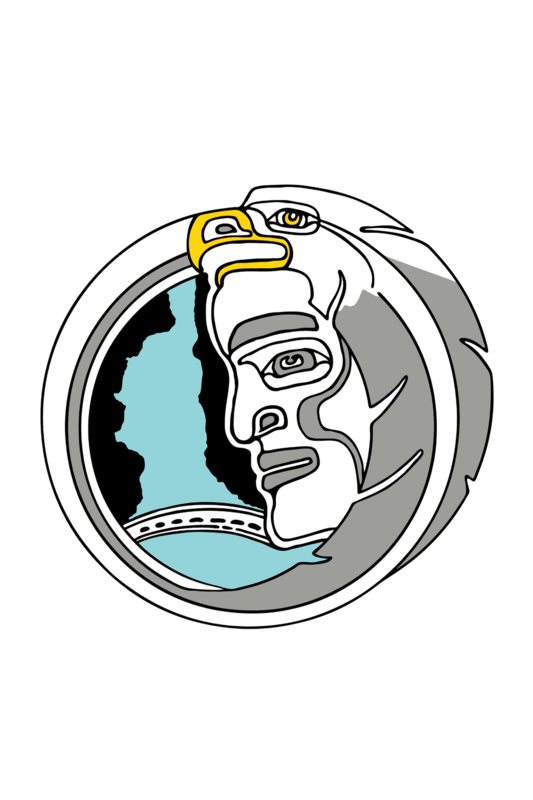 “The idea is we want to give people a unique way to spread the word to their friends and families that other people like them are using this election to stop the Kinder Morgan pipeline and tanker proposal” said Ben West, Communications Coordinator for the TWN Sacred Trust Initiative. The TWN Sacred Trust has also set up a custom built “sign making tool” on a campaign website: ImAnother.ca. This tool gives people not only within the province but also around the world, the ability to make a personalized statement to share on social media to help illustrate the breadth and diversity of opposition to the Kinder Morgan proposal. People from a wide array of backgrounds have already submitted “selfies” that have been uploaded to a photo album on the Sacred Trust Initiatives facebook page. There are signs that read” “I’m another scuba diver against Kinder Morgan”, “I’m another voter against Kinder Morgan and I’m another student against Kinder Morgan” and many more.